The Nugent Commission of Inquiry resumes on Tuesday in Pretoria, with senior tax official Randall Carolissen - the SA Revenue Service's head of revenue planning, analysis and reporting - set to give evidence together with two colleagues. The inquiry, first mentioned by President Cyril Ramaphosa during his State of the Nation Address in February and appointed in March 2018, has a broad mandate to investigate issues of corporate governance and allegations of misconduct at the revenue collection agency. 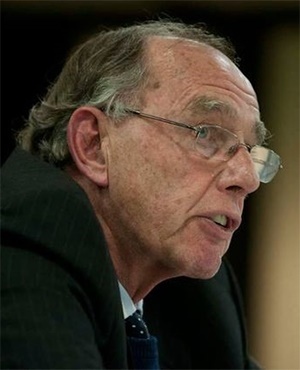 Chaired by retired Judge Robert 'Bob' Nugent, it is probing whether tenders were correctly awarded, criminal investigations covered up, and former employees coerced to leave. It is also investigating what caused billions of rands in revenue shortfalls, and issues related to the existence of the so-called 'rogue unit'. Public hearings were last held in June. Former SARS boss and current Minister of Public Enterprises, Pravin Gordhan gave evidence on the first day of proceedings, where he detailed how he was shut out of the institution by suspended SARS head Tom Moyane. Other witnesses referred to the suspended commissioner as an “ego-driven despot” who was “bloated with self-importance”. Lawyers for Moyane, meanwhile, tried have the commission halted, pending the outcome of Moyane's ongoing internal disciplinary hearing. Moyane's legal team also asked to have evidence already heard at the commission "expunged from the record". Nugent dismissed both requests, and referred to a document submitted by Moyane's legal team as a "disgrace". Carolissen, who was recently appointed the new administrator for the National Student Financial Aid Scheme, will be the first of three people to give evidence on Tuesday. The other witnesses are the revenue service's executive for tax and customs compliance risk Thabelo Malovhele, and Fareed Khan, its executive for enforcement audits. The commission is set down until Friday, and will continue for four days next week. It is expected to delivered its interim report by the end of September.